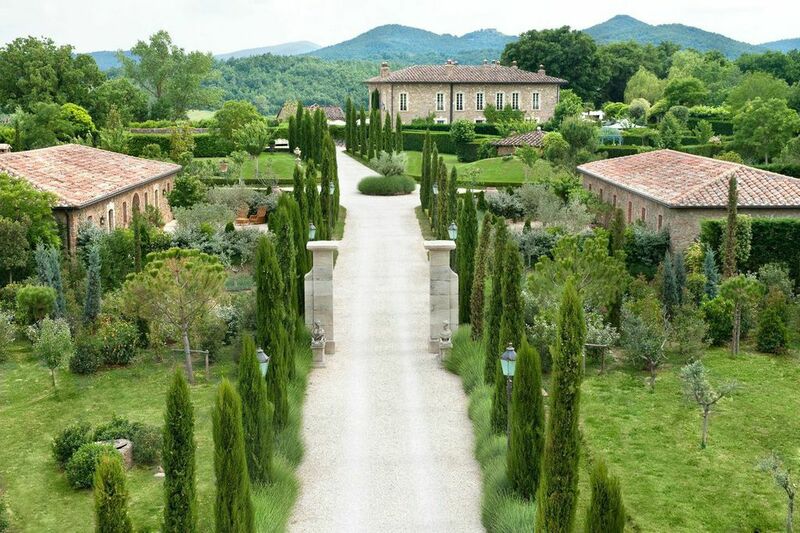 Continuing my series on beautiful hotels I recommend, we’re visiting Tuscany. Situated about two hours’ drive from Pisa near the hillside town of Chuisdino, Borgo Santo Pietro is the stuff that dreams are made of. Overlooking the stunning Valle Serena, the five-star boutique hotel is set in huge grounds, creating the ultimate escape. 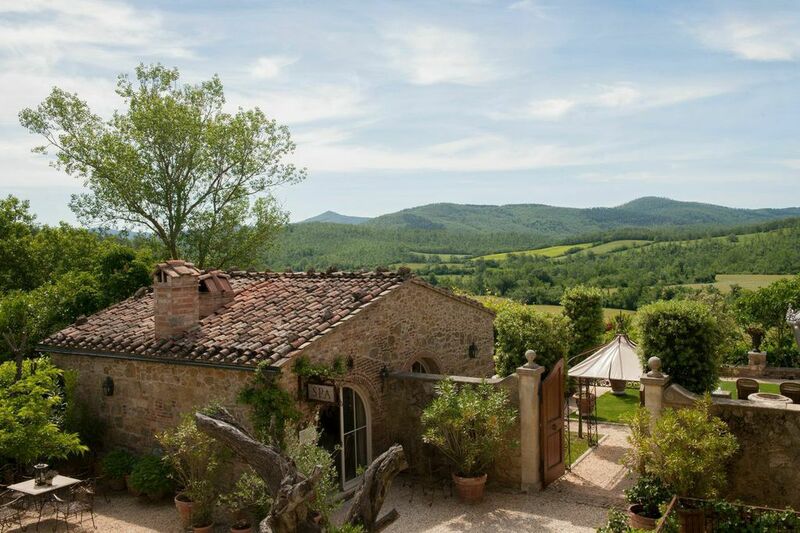 And the food, service, extra activities and amazing attention to detail make for a holiday idyll where you can totally immerse yourself in Tuscan life and the ultimate in luxury. Here’s what’s I loved about it. From the moment the majestic gates open and you drive down the cypress-lined avenue, you’ll be enraptured by this magical place. 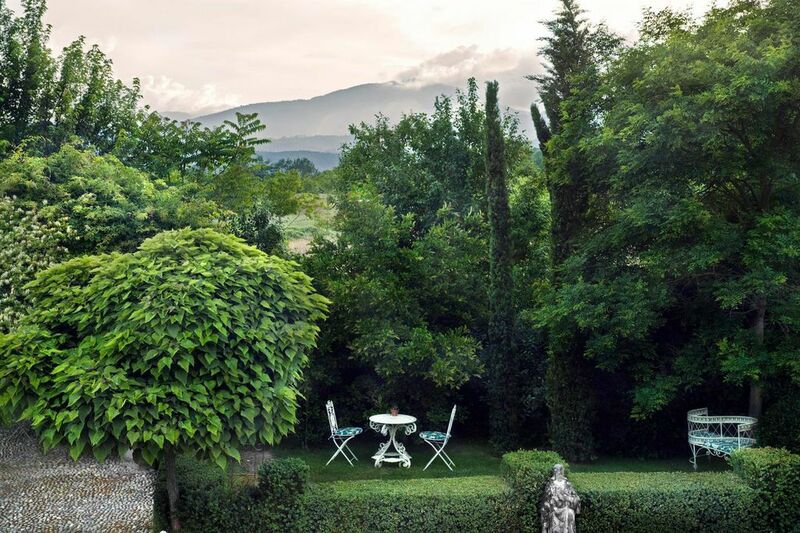 With the 13th-century villa at its heart, Borgo radiates out into the most beautiful of grounds to stroll around and lose yourself in. Talk about wow factor! Spacious, stylish and stunning, the ultimate in hotel luxury. 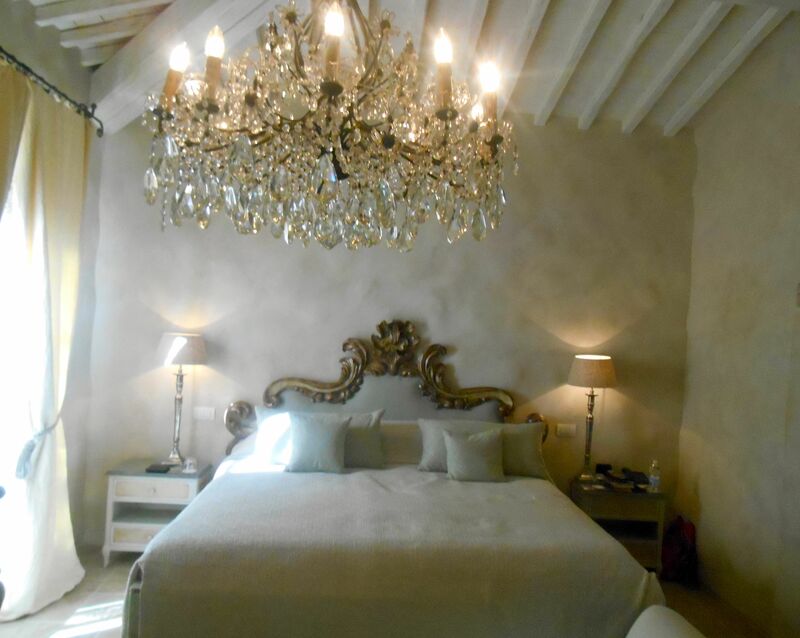 Twinkling chandeliers, enormously plush beds and large bathrooms with huge walk-in showers and deep bathtubs. 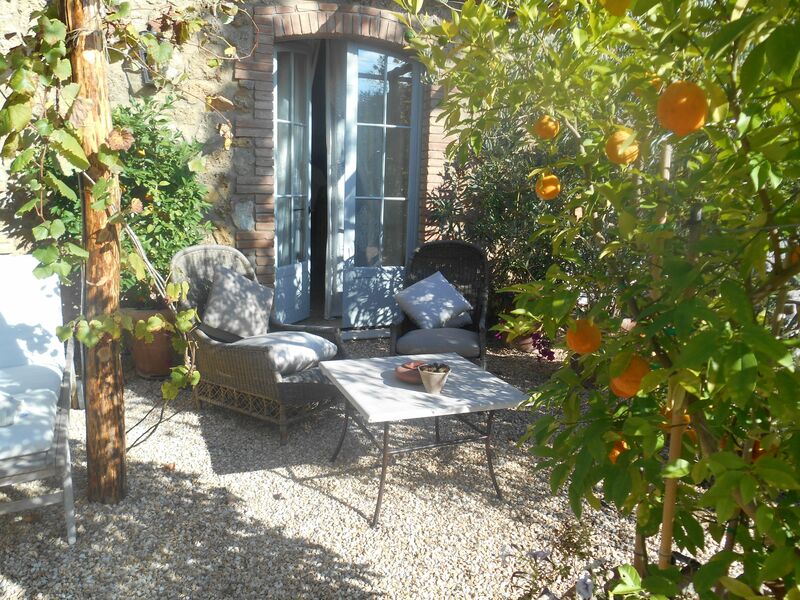 And beautiful outdoor space to chill out among vines and orange trees while inhaling the purity of that Tuscan air. 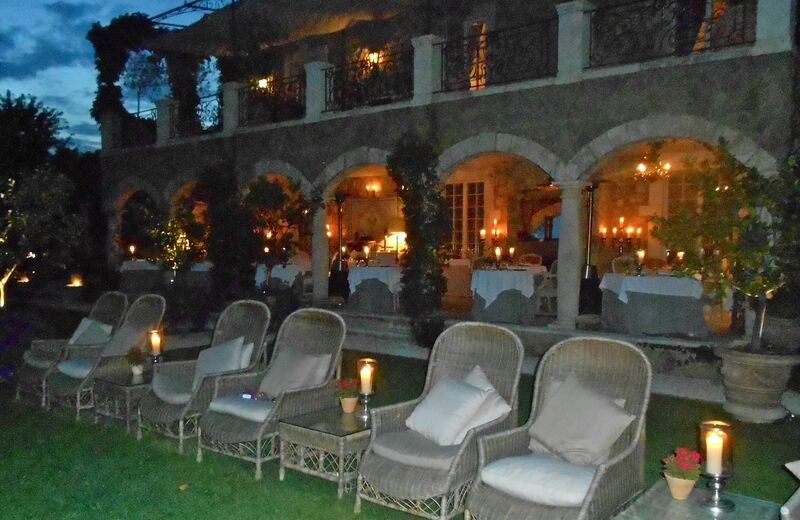 The main restaurant, Valle Serena (named after the valley it overlooks) is overseen by Executive Chef Francesco Gasbarro. 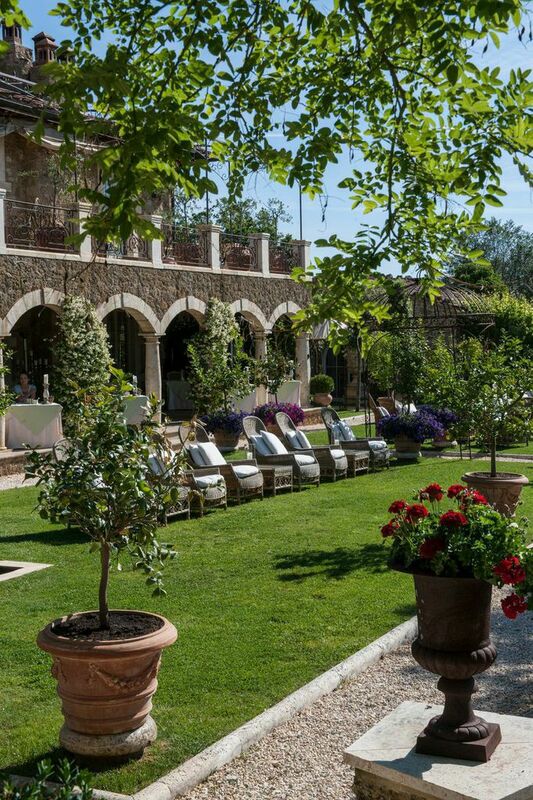 It’s hard to imagine a more perfect dinner setting and as Borgo Santo Pietro grows its own vegetables and herbs, you’re guaranteed the freshest and tastiest of ingredients. 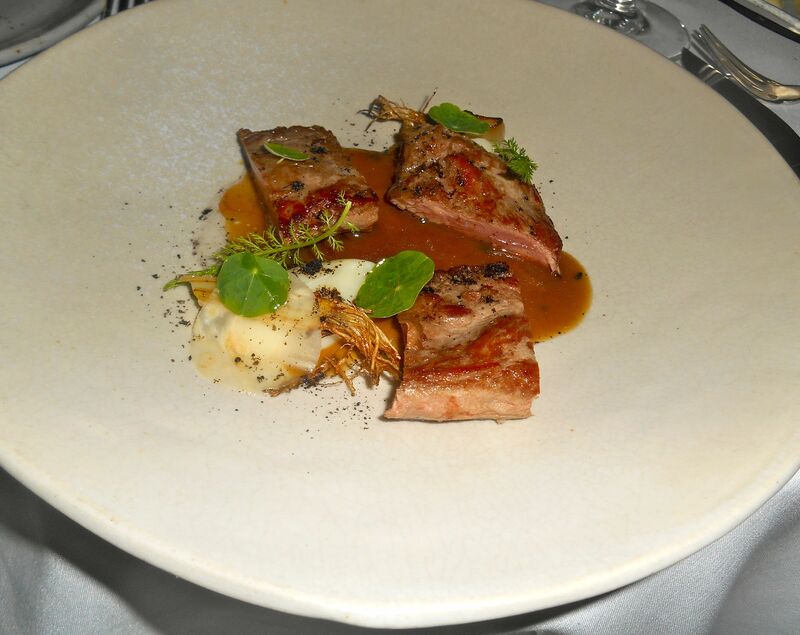 Wonderfully mouth-watering and creatively constructed dishes to enjoy – more to come in a later post (watch this space) – I have plenty to say about the wonderful dishes I sampled. How’s this for a charmingly romantic restaurant? The other restaurant, The Treehouse, is open for lunch and dinner. 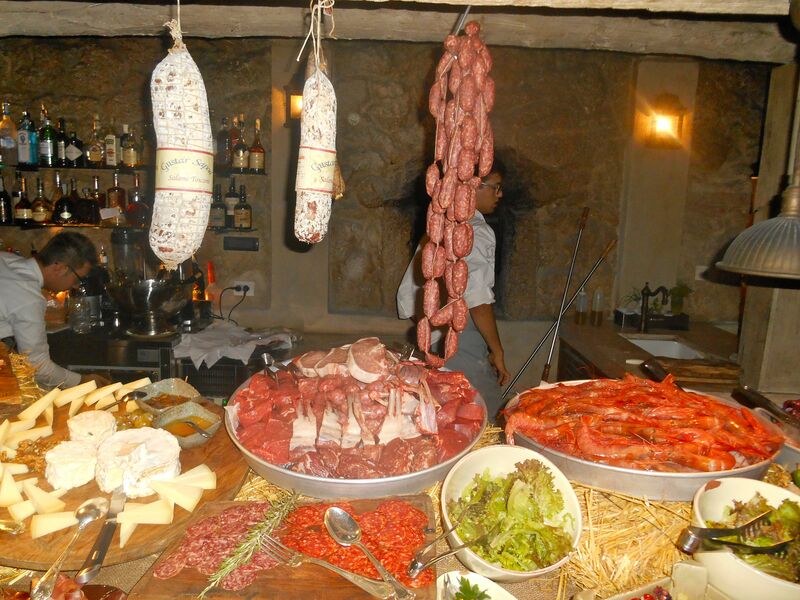 And on Mondays it hosts a farmers market, displaying a wealth of Tuscan delights to select from. Again, more on this later. The breakfasts, served in the Manor House kitchen, were fabulous, too…and I’m still dreaming of those cappuccinos. The extra touches constantly amazed me. Seriously, they’ve thought of everything. Like supplying books and magazines (in several languages) at the pool – just in case you left yours behind, I guess. Some other amazing examples…There’s a mobile phone in your room which you’re encouraged to carry with you around the grounds, so wherever you are you can call up and order a drink or some food. Heaven forbid that you’d have to go and fetch it yourself. If you take advantage of the hotel’s transfer from the airport, or wherever you are, there’s wifi in the car for you to log on to. If you sign up for the truffle hunt (and I can’t recommend it enough), you’ll be lead to a walk-in cupboard to select hiking boots supplied by the hotel in your size. No chance of being unprepared for your trek through the forest. There are fireplaces everywhere…who doesn’t love a fireplace. Even in your room, just call reception to get it lit. And then there’s what was probably my favourite spot…The Treehouse. 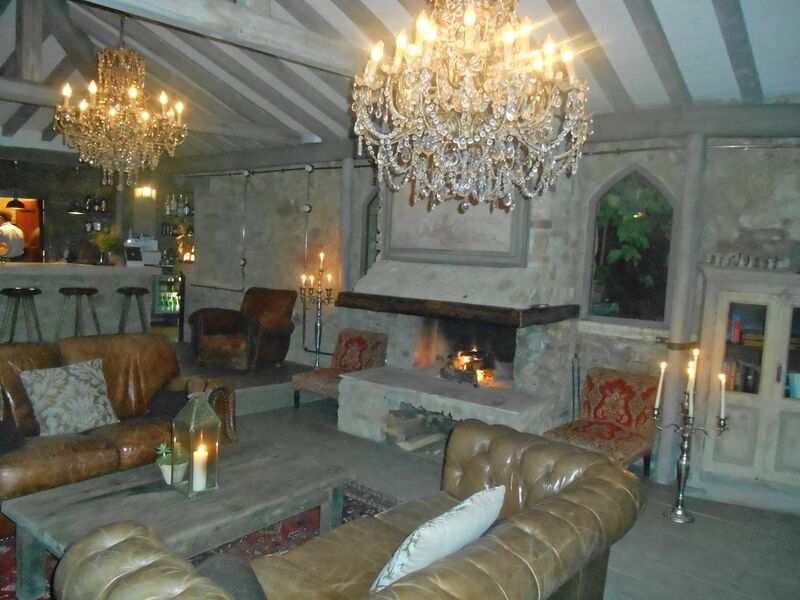 It’s not up a tree but at the base and this beautifully welcoming room is the perfect place for a drink any time, or just for a proper get-away-from-it-all chillout. 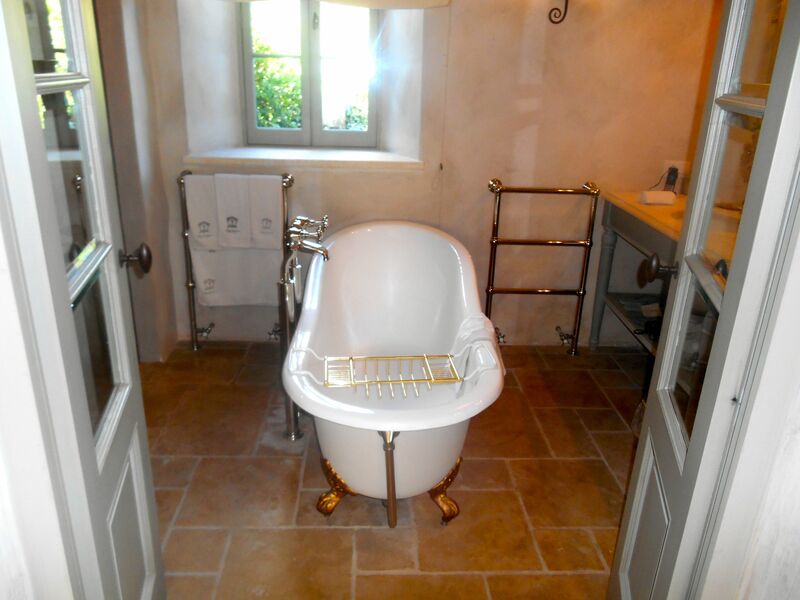 Once you’ve switched into Tuscan time and shed all your cares, there’s all the lovely activities to contemplate. Try a wine tasting with Simona, the charming sommelier; take painting with the artist-in-residence or flower arranging lessons; enjoy yoga classes or a treatment at the spa. 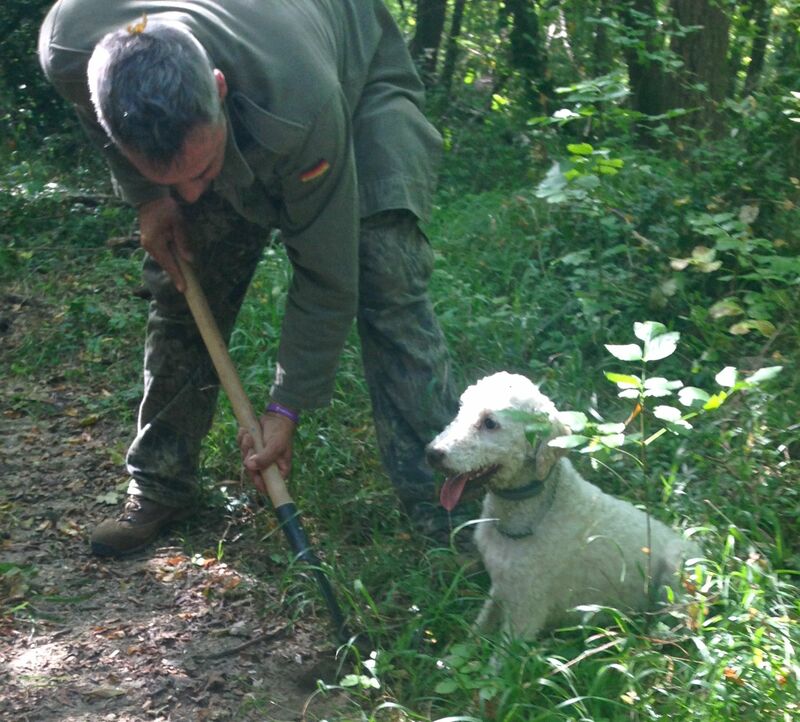 Or as we did, go truffle hunting for those oh-so-precious truffles with local truffle hunters and their dogs. A wonderful experience that you can read more about on another post (you can see, there’s still plenty of Tuscan magic to come). And don’t forget, there’s masses of beautiful countryside and amazing villages to explore: by foot, Vespa or even horseback. Make sure to order a picnic to take with you. 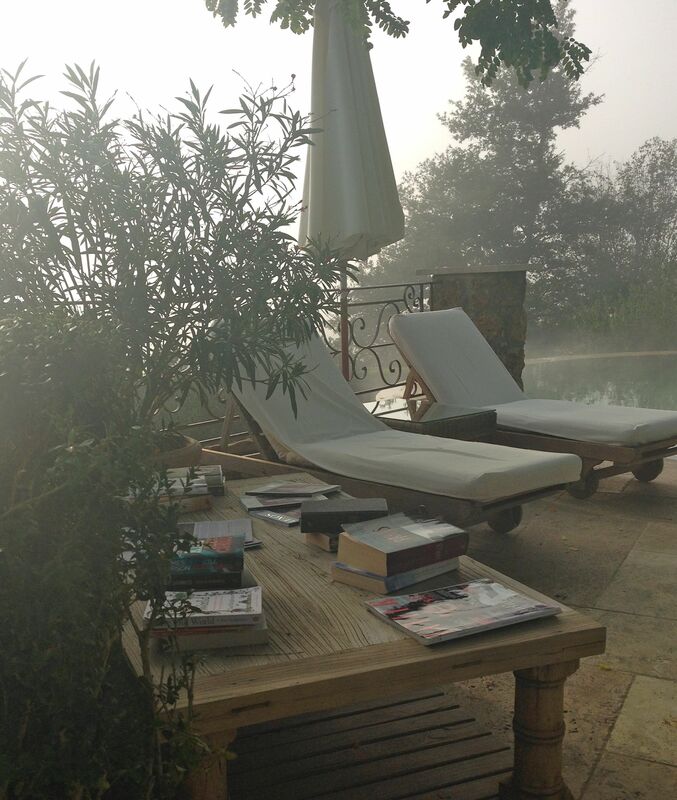 Any time spent at Borgo Santo Pietro is extraordinarily special. This is a unique experience (which obviously comes at a price) but you’ll be constantly amazed in this little piece of paradise. Start saving now for the experience of a lifetime. Ang, it is the most unbelievably beautiful and inspiring place ever! Hi Katrina, thank you. It is certainly that!